On Sunday, May 15, at 2:00 p.m., consumer historian Jan Whitaker will present an illustrated talk on the history of Northampton’s tea rooms. Iced tea, lemonade and pastries will be served afterwards on the terrace. 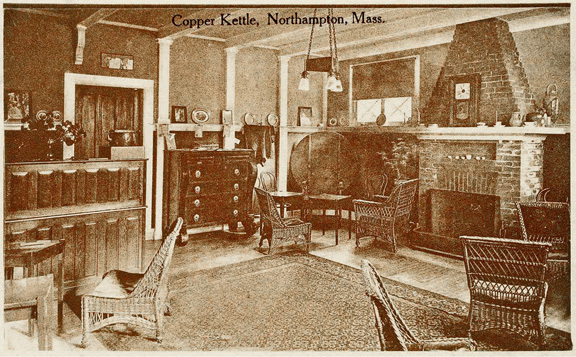 Northampton was well supplied with tea rooms in the first half of the 20th century. Patrons included students at Smith College, motorists from the Springfield area, and local women’s (and some men’s) clubs and organizations. Primarily lunch places, many of the tea rooms also served afternoon teas and evening meals. 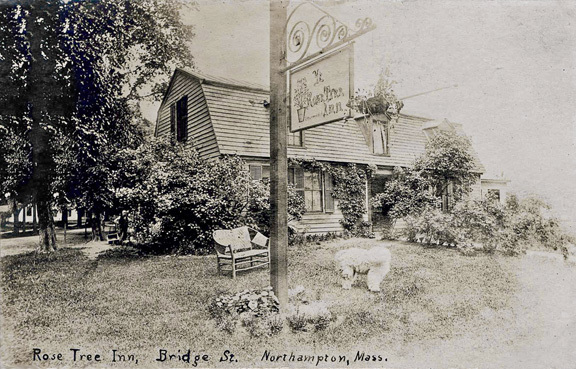 Whitaker will present a picture of Northampton’s tea rooms, focusing on the sort of meals served in them and the women who ran them—with special attention to the longest-lasting (Mary Marguerite) and the most colorful (The Rose Tree Inn). Jan Whitaker, a Northampton resident, specializes in the social history of retail businesses such as restaurants, tea rooms, and department stores. She is the author of Tea at the Blue Lantern Inn: A Social History of the Tea Room Craze in America; Service and Style: How the American Department Store Fashioned the Middle Class; and The World of Department Stores. She also publishes the blog Restaurant-ingthroughhistory.com in which she explores the history of American restaurants.